Botswana has no shortage of stylish and elegant accommodation, from the dry salt pans of the Makgadikgadi to the watery wonderland of the Okavango Delta. As one of Southern Africa’s prime safari destinations, Botswana’s abundance of wildlife and birds is one of the reasons why people return time and time again. Superbly stylish, Abu Camp is an oasis in the middle of the famous Okavango Delta. Renowned for their elephant conservation, Abu Camp offers their guests the opportunity to get really up close and personal with the world’s largest land mammals. Abu Camp has been uniquely adapted to offer the ultimate luxurious retreat. As if that isn’t enough to convince you, a steep in your private, candle-lit copper bath underneath the African stars might. Incredibly comfortable, Vumbura Plain’s design is all about contemporary cool; a blend of light, space and wood, creating a minimalist paradise in the African wild. Fourteen raised rooms offer phenomenal outlooks over the twisted landscape of savannah and floodplains. The land is leased from local communities in the Okavango Delta area, and the funds contribute to sustainable tourism in the area. Located in the middle of the exclusive Chief’s Island in the famous Moremi reserve, Chief’s Camp offers some of the largest suites around. Consistently rated one of the best safari accommodations in the world by Condé Nast Traveler and Travel & Leisure publications. Glass wrap-around suites offer unbelievable panoramic views, with your own plunge pool on a private veranda. Picture winding down with a chilled sundowner as you watch the setting African sun and you’ll get a feel for the setting of Savute Safari Lodge. 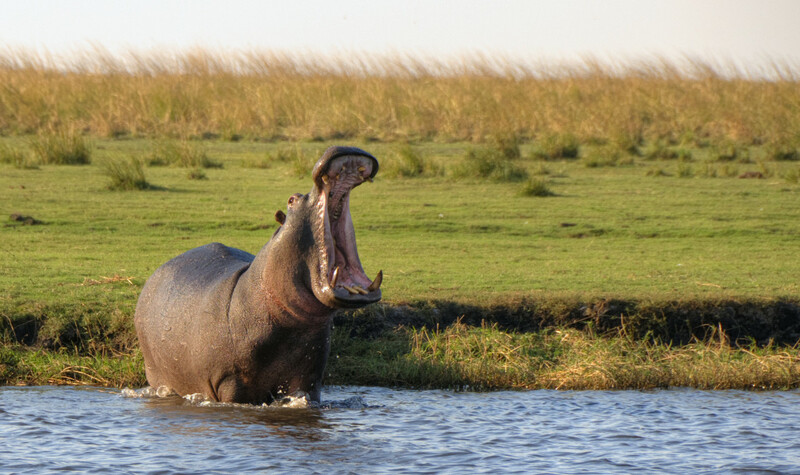 Located in the prime western region of the Chobe National Park, the lodge offers both land and water-based safari activities. Expansive private decks provide outstanding views of the waterhold and a sit-back-and-relax attitude complements the modern and light design of the lodge. Jack’s Camp is something of a legend in the Makgadikgadi. Rising up like a mirage in the dusty and cake-white landscape, this desert oasis is a breath of fresh air in the otherwise harsh environment. Looming like a bedouin castle, this tented camp is quirky and inspired, from the vintage velvet deck chairs that overlook the glittering landscape, to the wide range of activities available, this is the spot for adventurers and those seeking something a little bit different. A commitment to low-impact tourism in Botswana has meant that camps and lodges are typically small and intimate, allowing for a completely immersive experience with land and water-based activities, including day and night game drives, walking safaris, mokoro rides, birding excursions and much more. Welcome to luxury.